PPC or pay per click advertising is one of the best ways to generate targeted traffic in a short amount of time. As the name itself suggests, it’s a paid form of advertising and has been around for almost two decades now. 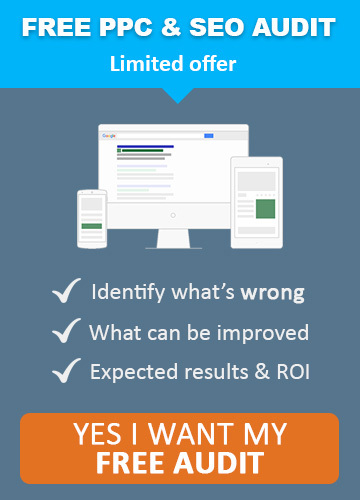 Many webmasters and marketers have questions regarding PPC. Due to the complexity involved sometimes, even marketing veterans have difficulty in understanding all the aspects of PPC, and this often leads to confusion and uncertainty about the suitability of PPC. 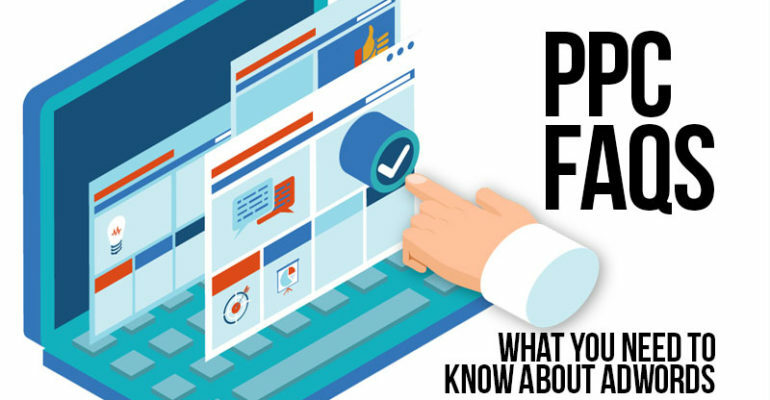 In this article, we will discuss 10 most common FAQs about PPC and will do our best to answer these questions. So, continue reading to find answers to some of the most common questions about PPC. PPC marketing or pay per click marketing refers to the practice of using ads to attract traffic to a website or a specific webpage. In this marketing model, a client usually bids for keywords related to his niche or business within an advertising platform. The advertising platform tries to match the advertiser with a relevant audience who are searching for information associated with the same keyword. Once a person searches for the keywords selected by the advertiser, he will be automatically shown the ads written by the advertiser along with the search query results. The advertiser, in this case, will only be charged if the person clicks on one of the ads and visits his website or webpage. So, this results in a win-win situation for all the parties involved as the advertiser gets targeted traffic for his website, and the searcher can find the product/service related to his search query easily by clicking on the ad for the specific product/service. Which sites offer PPC advertising? There are primarily two sites which offer PPC advertising, Google AdWords which is now known as Google Ads, and Microsoft Bing Ads. There are numerous other sites and ad networks which offer PPC advertising, but they account for less than 10% of market share as these two sites are responsible for almost 90% of the PPC advertising market. 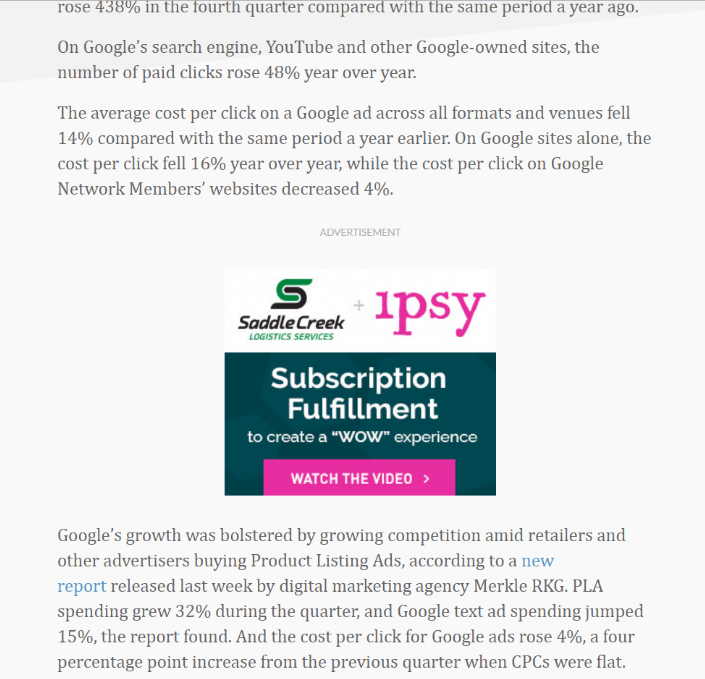 Where do my PPC ads appear? Google Ads allows you to show your PPC on Google search results and other partner sites which participate in Google ads via their AdSense program for publishers. Bing Ads, on the other hand, allows advertisers to show their PPC ads next to the search results on Bing search engine, Yahoo and MSN sites and other web properties owned by Yahoo and Microsoft. Yahoo used to have its ad platform a few years ago but abandoned it in favour of a partnership with Microsoft which allowed Yahoo to cooperate closely with Bing. Travel websites are able to specifically target travel websites as a whole, or identify the specific websites they wish to appear on. Who will see my PPC ads? This question is often the most asked one by advertisers who are perpetually worried about the audience they will get with PPC ads. To answer this question, we will need to understand the difference between search and display advertising. Both search advertising and display advertising are part of PPC marketing and are a bit different from each other in some areas, whereas they also share some fundamental similarities. Search advertising PPC ads are shown to users who are searching for something using a search engine. They are the ads which you see above the organic results on search engine results pages or SERPs. You can see some sample search ads in the image above. Google shows several ads from dentists when we type a dentist in London. It’s quite easy to separate search ads from the search results, as the ads usually have a small green button before the display URL which clearly states the word “AD”. So, if you choose the search ads option while creating your PPC campaign, then your ads will be shown to people who search for the specified keywords. Display advertising refers to other ads which are shown on countless websites, blogs, and landing pages which participate in Google AdSense or any other ad publishing program such as Taboola, Outbrain etc. The above image features a display ad which is shown in the middle of a blog post. You can find other numerous examples of display ads on the sites which you regularly visit as these are some of the most common means of monetising websites which are used by millions of websites in the world. If you’ve followed closely, then hopefully you’d have got an answer to the question about who will see your PPC ads. In the case of search ads, your ad will only be shown to the people who have searched for the keywords or phrases specified by you. Search ads are highly targeted as only users with interest in the product/service offered by you will see your ad. Display ads, on the other hand, are not as focused and may be shown to anyone. They have their uses as search ads may be best for someone who is looking for new customers, but display ads outperform search ads if you are looking for branding or want to put your brand name in front of an audience. What are the essential components of a PPC ad? Google AdWords has predefined character limits in place for each of these components, and you must keep the character limits in mind when creating a PPC ad. It’s also important to understand the difference between display URL, and destination URL. Display URL is the URL which a searcher will see and is often different from the destination URL. It’s important to remember this distinction as destination URLs lead to specific landing pages and tend to have more characters than display URLs. You will also need to keep in mind the character limits for each of these components. Display ads tend to have images along with text and most often are clickable. There are specific ad format guidelines for all types of ads offered by Google AdWords. Display ads allow you to include animated images or videos along with the text and give you the choice of several ad units with different dimensions. Due to the inherent complexity, choosing an ad format for display ads is entirely different than a text ad as the requirements will vary and it ultimately depends upon you as you have several options to choose from. What targeting options I will have for my PPC ads? PPC ads allow you to choose the people who will see your ad based on various metrics. You can target users based on their geographic location, keywords, demographics, affinity, remarketing, and topics. It’s worthwhile to note here that in terms of targeting there is no better option than PPC ads as they are highly targeted ads allowing you complete control over the audience who will see your ads. Why must I use PPC advertising over other marketing methods? PPC ads are among the most effective method of marketing and easily outperform other marketing methods such as SEO, or content marketing. Other marketing methods take much longer and often there is no way to measure the results. PPC ads, on the other hand, deliver quick results, and you can measure your success using several key metrics throughout a PPC campaign. You have access to campaign statistics, which allow you to see how your ads are performing. Google AdWords allows you to show your ads to searchers who are looking for something using specific keywords in Google’s search bar. If a person, for example, is looking for a dentist in London and types “Dentist in London”, then he will see the following image. 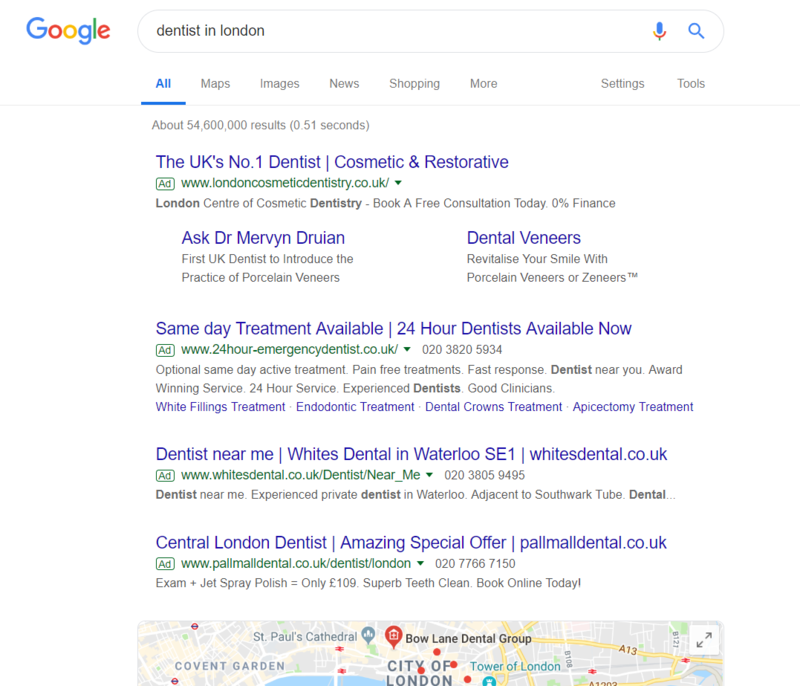 The first few results are the PPC ads which are part of PPC campaigns run by various advertisers who are targeting users who search for the phrase “dentist in London”. After this section, you can see some organic listing which also shows the location of dentists on a map, and below this, you will find organic listings. You can also show ads to users who visit sites which are part of Google Display Network through Google AdWords. You need to run a display ad campaign as opposed to a search ad campaign to show your ads on GDN. These ads are the ones which you come across on various sites and blogs and are most commonly known as banner ads or native ads. Why is the CTR rate of Facebook ads lower than Google AdWords? Facebook Ads may appear quite like Google AdWords, but these are fundamentally quite different advertising platforms. Google AdWords has an average CTR rate of 3.17% for search ads, and 0.46% for display ads. Facebook, on the other hand, has a much lower CTR rate of around 0.90%. This is because Facebook is primarily a social media platform where people don’t want to be bothered with ads, whereas the same users want to see relevant ads when they are searching for something using a search engine. Targeting options are also responsible for lower CTR of Facebook ads as despite adding some potent targeting options, Facebook still lags AdWords in terms of targeting and reach. How much will a PPC ad campaign cost? There is no specific figure when it comes to the cost of a PPC campaign as you have the freedom to choose your budget and PPC ad platforms also allow you to choose your bid for each keyword, along with a daily budget of an ad group or a PPC campaign. The cost of a PPC ad campaign depends upon the bid and quality score of an ad. If you have a high-quality score, then you may be able to get a spot on SERPs with a lower bid, but if you have a low-quality score, then you will need to bid higher, and this will increase the cost of your PPC campaign. Some industries have high competition, and this leads to very high bids as there are keywords which will cost you $50 or more for a single click. Although, in most cases, you can get a decent amount of traffic for a bid of less than $1 per click. So, the cost of a PPC ad campaign will pretty much depend on several factors which may vary from one advertiser to another. Blogging as a Travel Businesses – Why it is Essential for Growth! Apollo Digital specializes in providing a cost-effective online marketing solution for travel businesses by utilising our experience in paid search marketing, SEO, social media, copy writing and website creation; to deliver the optimum return on your investment.